When deep-frying any type of food, including wings, it is important to know the characteristics of the oil you are using. 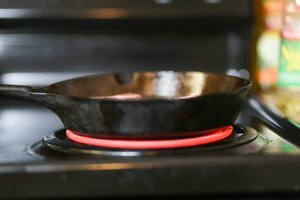 Some oils, such as olive oil, have low smoke points, which means they begin to smoke and break down at lower temperatures, making them unsuitable and dangerous to deep-fry with. 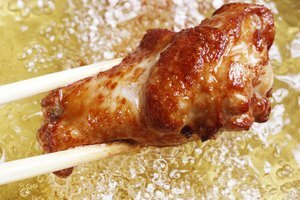 There are several suitable oils that will do the job of deep-frying wings, each with subtly different flavors and attributes. The choice of most restaurants for deep-frying, peanut oil has a high smoke point of 450 degrees Fahrenheit, and the refined version is non-allergenic, making it safe for those with peanut allergies. Its flavor may not be as neutral as other cooking oils, but the slight nuttiness it adds to food can be an added bonus if you like your wings with a little extra flavor. Peanut oil is low in saturated fat and cholesterol free, making it a reasonably healthy choice. Canola oil comes from an engineered plant related to the rapeseed. The oil is low in saturated fat, contains favorable omega 3 fatty acids and is virtually flavorless. 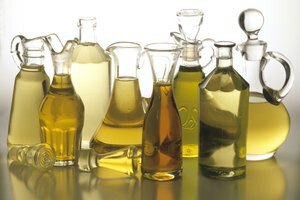 However, canola oil, aside from being genetically engineered to begin with, goes through a long and complicated refining process which introduces it to several chemicals and can dramatically alter the make-up of the oil. 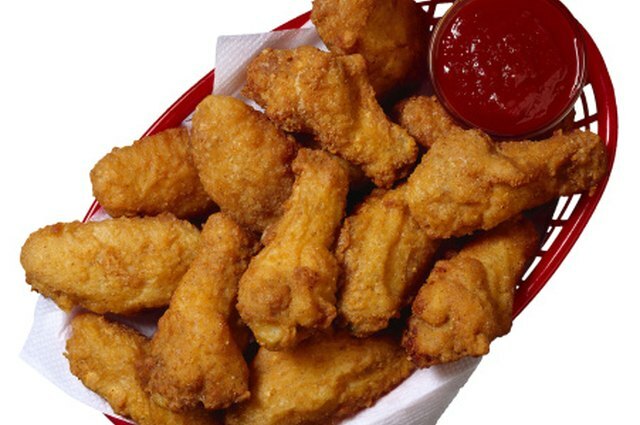 It is still a widely used and inexpensive deep-frying oil for wings and other fried foods. Safflower oil is made from the seeds of safflowers and has a high smoke point similar to peanut oil. Sunflower oil is made from the seeds of sunflowers and has a similarly high smoke point. Both are neutral in flavor, while safflower oil is more delicate in both flavor and texture. Safflower and sunflower oils are both considered fairly healthy options for deep-frying foods. Sunflower oil contains more vitamin E than any other cooking oil. Rice bran oil has replaced other oils in some restaurants as they have begun to eliminate trans fats. Considered by some to be the healthiest cooking oil, it also possesses the highest smoke point at 490 degrees Fahrenheit. It is naturally non-allergenic and high in antioxidants, making it a solid choice for home cooks and restaurants alike. Its light and delicate flavor and texture create crispy, yet non-greasy wings.